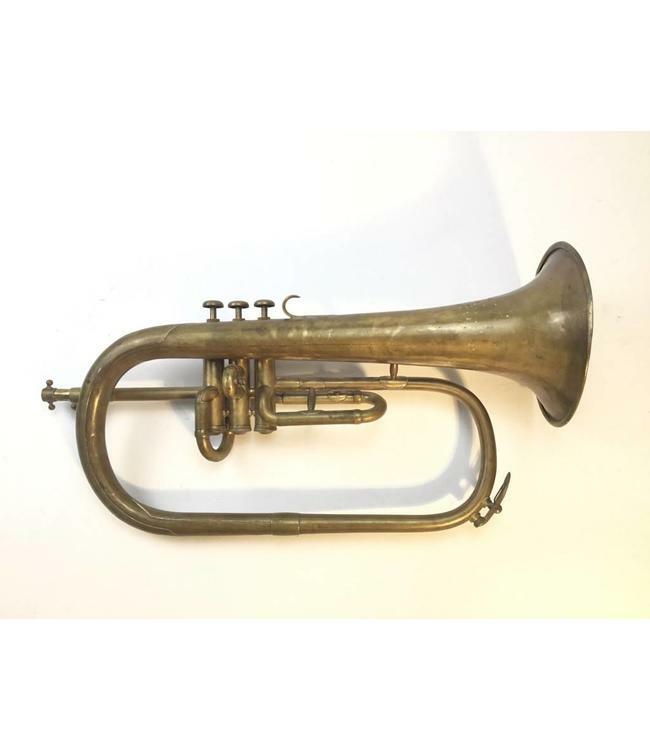 Used Besson Brevete Bb flugelhorn in raw brass. Overall fair condition with repair evidence, dings and dents throughout. No case.